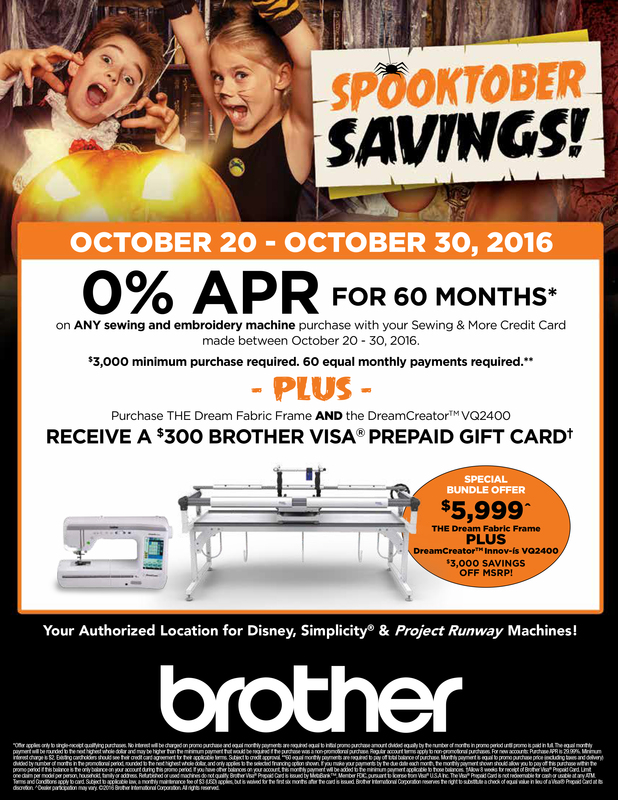 AllBrands has a Limited Number of Brother Seminar VQ3000 Sewing & Quilting Machines from the Houston Quilt Show that are $500 Off our Regular Price. Same 25/6/2Yr Warranty! Includes 11.25" Arm Space, 561 Stitches, 14 Buttonholes, 5 Fonts, V-Sonic PenPal, Straight Stitch Laser Vision Guide, MuVit Digital Rotary Top Belt Dual Feed, Extension Table, Speed Limit Control up to 1050 stitches per minute, 13 Bobbin Works Designs with Included Bobbin Case. Vvelocity up to 1050 Stitches per Minute: The fastest Brother Series ever!